Enron Creditors Recovery Corp is the new name of the previous Enron Corporation that went bankrupt in the year 2001 following the Enron Scandal. Before the bankruptcy, the company was one of the world’s largest natural gas, electricity, pulp paper and Communications Company. The company emerged from bankruptcy in the year 2004 with the court approving for its reorganization after what was one of the most complex bankruptcy cases in the United States. 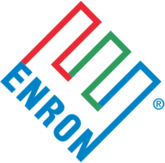 A new board of directors was appointed and the company renamed Enron Creditors Recovery Corp and was tasked with the reimbursement of the innocent creditors. It is based in Houston, Texas, US. There are currently 0 consumer reviews about Enron Creditors Recovery Corp available. Share your review. Please take a note that you are about to post a public review about Enron Creditors Recovery Corp corporate office on CorporateOffice.com. This review will be public, so please do not post any of your personal information on this website. If you would like to contact the corporate offices of Enron Creditors Recovery Corp, please use their contact information such as their phone number, website, and address listed above to contact them. However, sometimes staff from Enron Creditors Recovery Corp headquarters do read the reviews on this website.